Time stopped on Saturday as we took Bedwas 6, Caerphilly 32 & 36 and Red & White Guy Arab III to Ebbw Vale for a small rally at the centre of the town. 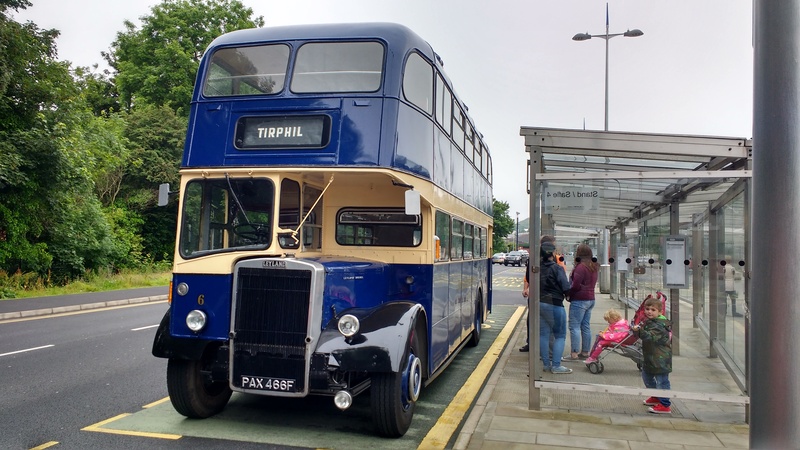 It was very busy and we operated free journeys from the bus station to the leisure centre and back on PAX carrying hundreds of people. The photo above was taken when we arrived at the bus stop before we started.